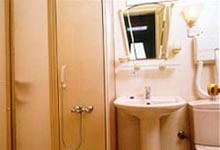 Taksim Flats are will meet your expectations at a superior level of service. 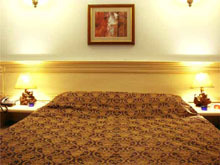 Located just central of the Taksim Square,like an oasis for our guests preferring long term accommodation in Istanbul. In the heart of the city,one of the oldest neighborhood of Istanbul,between three very popular shopping districts of the magestic city; Istiklal Street (Beyoglu) Nisantasi Osmanbey. 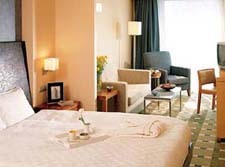 Resting in Entes – Apart Otel is an impression of living Istanbul like an inhabitant of old Péra. Effectively,being in the center of the town offers the different advantages :The best restaurants of the town,the cafés in fashion,the clubs for the end of the evening,the bars,the cultural centers,etc. Each suite covers an area of about 50 m2,equipped with an American Style kitchen,WC,bath,bad and study areas.All suites have their own air conditioning and TV with satellite antennas. Taxim Suites,an apart hotel operated by Divan,will meet your expectations at a superior level of service.Located just across Divan Hotel in Elmadag,Taxim Suites is like an oasis for our guests preferring long term accommodation in Istanbul. Welcome to your home in Istanbul.The flat is located in the Sultanahmet area which is the most historical place of Istanbul.There are 2 floors in the flat.In the downstairs there is a kitchen, bathroom and bed room, At the upstairs there are on big saloon with sea view,big bed room and bathroom with toilet and with sea view and Sultanahmet & Sea view Terrace, near the Topkapı Palace Walls. With its modern architecture and ultimate comfort-providing design, there is now a new hotel in Maçka! HOUSEZ Suites & Apartments is the new talk of town with its proximity to business and entertainment centers and the comfortable living atmosphere it offers to guests. 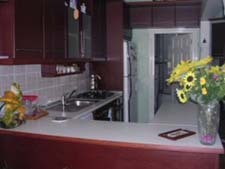 Welcome to your home in Istanbul.If you are at least 5 persons,you can rent a flat in the city center of Istanbul.It is cheap,dependable,also you will be free with your own home. Osmanbey Flats is will meet your expectations at a superior level of service. Located just central of the Osmanbey area close to the Taksim Square,Levent, Harbiye,Mecidiyekoy and Sisli. 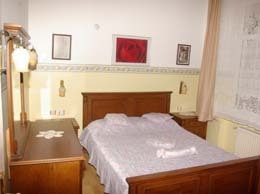 Including 10 suites.The size of suites range from 50m² to 60m² spread to 5 floors.Each suite has a kitchen, bedroom,dressing room and bathroom.Internet (ADSL),phone and fax lines.Breakfast,daily cleaning free of charge. Since Galata has the privilege of being a harbour,is quarter as old as the history of Istanbul.Being a junction between east and the west,it has always been a vital point of economic movements throughout all history. Your home at Anatolian side of Istanbul.Location in Atasehir which is suitable both for business and leisure.15 minutes to Formula 1and very easy access to the European side by TEM and Ring Road. 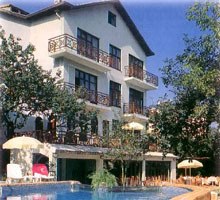 VILLA BLANCHE is a custom built small,elegant hotel in the heart of Istanbul's residential and business area.It has 40 rooms and 7 apartments. 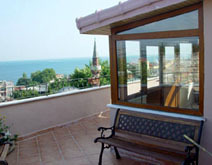 The Residence Mecidiyekoy has City view is available.Residence Details: Washing machine,fully equipped kitchen,microvawe,refrigerator,iron,dish washer, central air-condition,split,music,digit air-condition,direct dial telephone,cable tv, internet connection,safe box,keycard system,fire alarm system,hair dryer, bathtub,wc. WE ARE READY TO WELCOME YOU TO ISTANBUL. DON'T DELAY. CONTACT US NOW by E-mail.